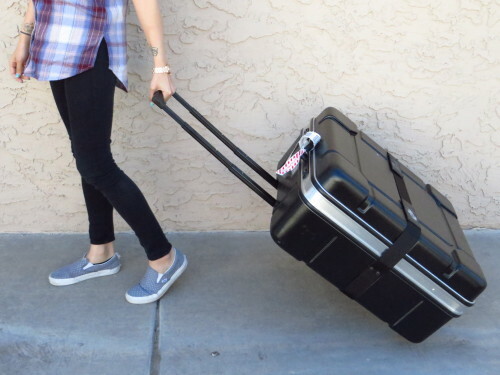 The B & W hard case is a great way to not only travel easily with your Brompton, but also to protect your investment. 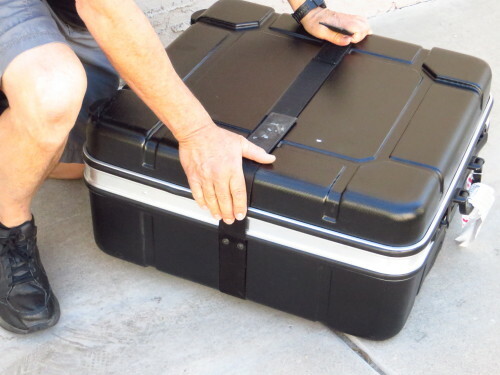 The hard case is airline size and weight legal, so you can check it like regular luggage. 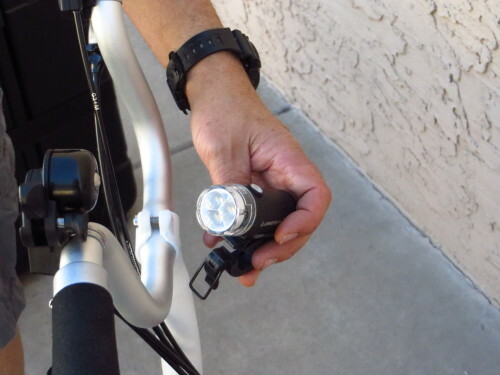 It’s a great option for long distance travel, and also prevents your bike from getting damaged. 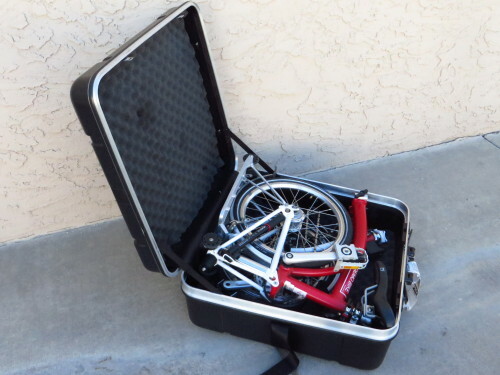 Here’s how to prep your bike for use, and how to pack it safely in the hard case. Prepping For The Case – Remove the battery headlight (if applicable). Loosen the saddle and slide it all the way forward. Fold bike as normal, being sure to snuggly tighten the two clamps. 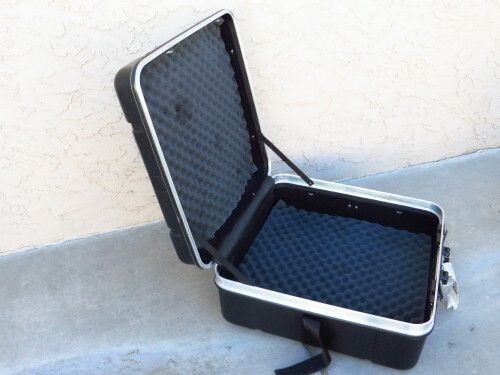 Step 1 – Place the hard case on the floor, with the deep side down. 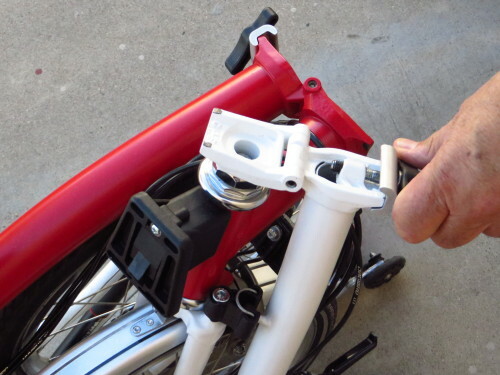 Step 2 – Place the folded bike in the case, folding pedal side up, with the bottom of the bike at what will be the bottom of the case when it’s upright. Step 3 – Close the top. Starting at the rear of the case, apply pressure to the sides, moving towards the top of the case, making sure the edges are engaged. Step 4 – When you reach the middle of the case, seal the two velcro straps tightly. 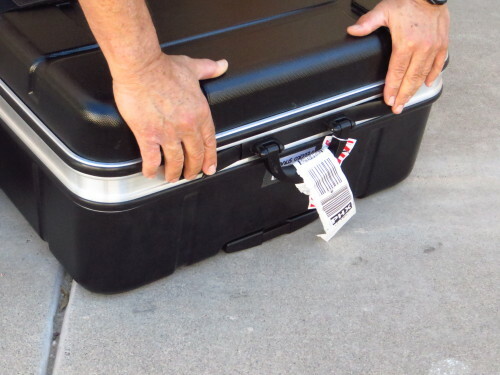 Step 5 – Keep sliding up the sides, and as you reach the top of the case, close the latches to either side. – If the case is new, don’t be afraid to apply high pressure along the edges. A new case will have a breaking-in period. 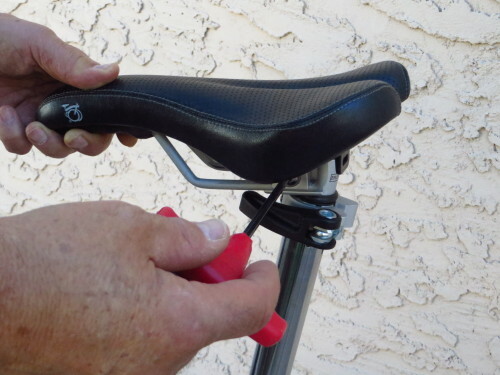 – If your bike is equipped with either a Brooks saddle or an extended seat post, you must completely remove your saddle before your bike will fit in the case. 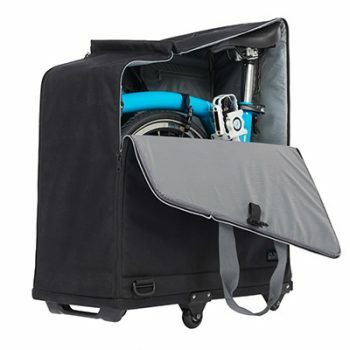 – Extra clothing and soft items can be stuffed around the extra space inside the case for added protection for your bike. 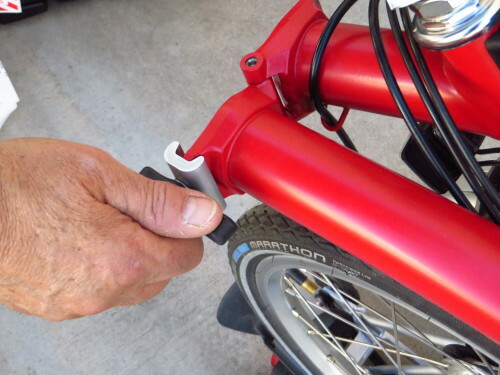 – If the seat post is equipped with a rubber bung at the bottom or is telescopic, you may have to open the quick release clasp at the top and push the seat all the way down to close the case.